Look, look! Children run, fish swim, stars shine . . . all for baby’s eyes to see. 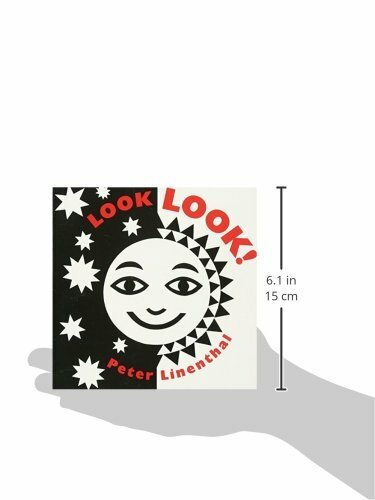 This sturdy board book, full of high-contrast black-and-white cut-paper art perfect for staring at, is just the thing for the eyes of the youngest babies. 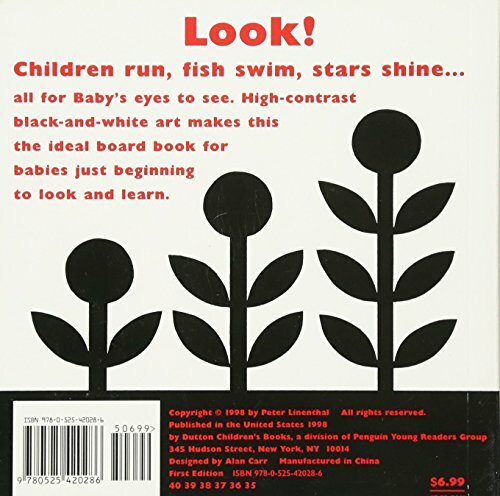 A few words in curving red type on each spread describe the scenes — a car races, a cat stretches, flowers bloom– and extend the book’s age appeal so that it will be fascinating to older babies, too. Striking and stylish, Look Look! is the ideal first board book for babies just beginning to look and learn. 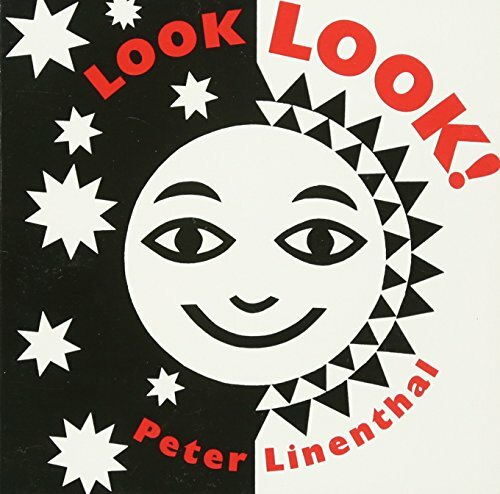 Peter Linenthal is an illustrator who has taught art in elementary schools for twenty years.Sturdy board book, full of high-contrast black-and-white cut-paper art. 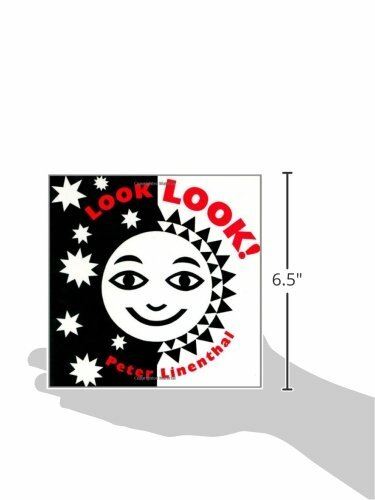 Look, look! Children run, fish swim, stars shine . . . all for baby’s eyes to see. Ideal first board book for babies just beginning to look and learn. Contains 18 pages and measures 6.37″ x 6.49″. Recommended for ages 0 – 3 years.